Do you remember those “Double Check” pictures in Highlights magazine when you would look between two pictures and try to figure out what was different? That’s what I did at work all last week only I was being a lot more judgmental as I was doing it. I had no idea highlights magazine would have such a direct correlation or so effectively prepare me for my real world career. The only way I could have made things more interesting would have been if I had stared at the first image for 60 seconds then tried to write down the differences from memory. While certainly more interesting, I’m not sure if my partners would have appreciated the results. The same partner owns their own factory, and my co-worker was feeling very jealous about someone owning their own Toy Factory. I sent them an image for the Play-doh “Fun Factory” because my image search results for Toy Factory were seriously not work-appropriate. Not having your own Toy Factory is sad, but the fact that my co-worker never had a Play-doh Fun Factory made me feel genuinely bad for him. Ooh! I made Brookies and Erika’s Hot Heaven for 13 of my co-workers. Baking for an occasion isn’t as appreciated as random sweets on a Wednesday. The night before I went grocery shopping with Zach and he couldn’t wait to leave. There was so much pressure that I walked out of the store with the baked good supplies, protein bars, cereal and some juice. This would be considered successful if our house wasn’t completely void of food. This is why we had to order Dominos at 11 am on a Saturday btw. Last week I dragged some ladies at work to some very girlie girl stores in downtown Kirkland. On our way back we grabbed some subway and whilst consuming our sandwiches, I was telling them about Lucas making his lunch the night before. (He decided to pull out a lunch box to bring it into school. The lunch box he found was a Donald Duck container he got at Tokyo Disneyland that I should have taken a picture of because it’s awesome.) 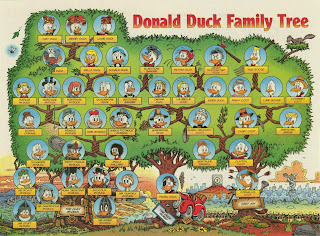 The discussion progressed to the lineage of Donald, Scrooge, and Huey, Duey and Louie. 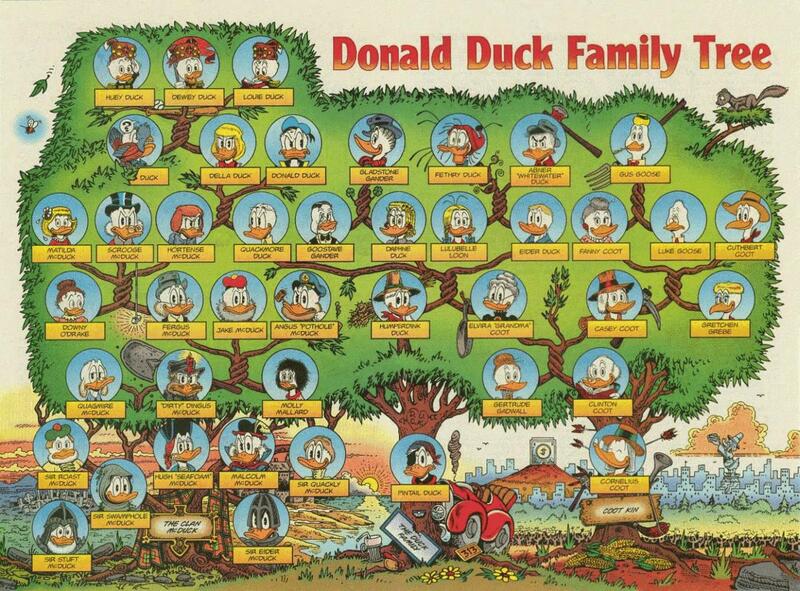 I thought it was a fabulous conversation, but by the time I started breaking out the Mallard family tree, I had completely lost Christy. It happens. On Wednesday Dawne and I played hooky from our story writing class. Instead, we had dinner with this guy who Dawne thought was a potential match (which was a good enough reason as any to skip class). His good attributes were that he was a lot like Derek in that he was excellent at starting and participating in conversations, was very curious about life, genuinely wanted to know more about every subject, and as a result of this lifelong pursuit of knowledge knew a wide variety of information. On the downside (and unlike Derek) he was extremely pretentious. Lucas also got the same vibe, which is probably why he started saying things like “You know that guy with the chopping of the tree (George Washington) and the guy with kite thing (Ben Franklin)” which he absolutely knew. And the guy responded with, “And THIS is the result of the US educational system folks.” When I was talking this over with Zach later, he was like, “Yeah. I knew you’d think he was pretentious.” Am I that predictable? My weekend was pretty chill - hung out with Rach and BDug, hit up the dog park, made a trip down to IKEA. Me: Guess where we’re going!? Zach: No. We’re going to your favorite place. Lucas: Guitar Center? Triple X? ChuckeCheese? Paint the town? Shana: On my iPhone the facebook app sometimes swaps people's profile pics. Because of habit I look to the profile pic to see who people are instead of their name. I saw BDug's pic with the status: I'm just incredibly grateful for the life I have and the people in it. ♥ I also noticed 2 people commented. Those comments were: Sean P--- “You are absolutely amazing. ♥ “ and Jesse J--- “Yeah! I'm glad you’re in my life, and that I get to sit next to you!” I was about to hit send on: Riiiiight, you're incredibly grateful for the bottle in your hand and the 11 empties on the floor when I thought for a moment “Why would BDug say such a thing and who are these people commenting and why aren’t they being snarky?” Then I decide to look at the name and it's from a chick I work with. I shook my fist at fb for fooling me. damn glitch!! Shana: I’m watching The River and waiting for DinoCroc to show up. S-Dawg will put his name on anything these days. Zach: You gotta sell out sometime in your career – that’s the whole point of being successful. And finally, Zach (looking at Nala): It’s always surprising that she can move on her own. This chair isn't going to pull itself out.